Are you planning on renting for the first time? If so, then it will be an exciting journey. As always, Clearhaven Lettings is here to help. We have listed some of the most important tips that you should remember when it comes to renting. Read before you sign – as we’ve said, renting can be pretty exciting. However, do not go too excited that you forget to read the terms and conditions. This might seem pretty obvious, but it is a mistake that always happens. Take time to read it over and make sure that you are comfortable with everything that is written in the contract. Keep records – remember to keep all of your agreements, contracts, correspondence in one place. You might need it one day, you never know. Consider getting insured – most of the time, your belongings will not be covered by landlords insurance. Make it your duty to get your own home insurance policy to care for your belongings. You still need to pay bills – when you budget your money, make sure you have enough left to pay for the bills. Rent is not the only thing you need to worry about. There’s internet, electricity, TV license and other utility bills. Make sure that your deposit money is protected – now this might be a landlord’s duty. Your landlord should provide you with the details of how your deposit is protected within 30 days of starting your tenancy. Your duty is to understand it fully and ask questions about the chosen scheme. 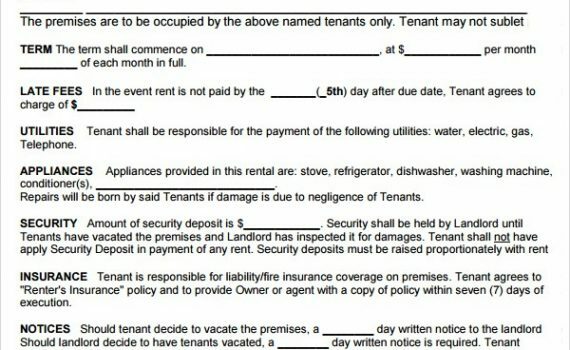 If your landlord does not provide you with all the details within 30 days, feel free to ask about it and press the matter. This will not only keep your money safe, it also provides a dispute resolution service just in case of any disagreements that you might have over a deposit. That’s it for this list. Did we miss anything out? Don’t forget to let us know in the comment section down below!